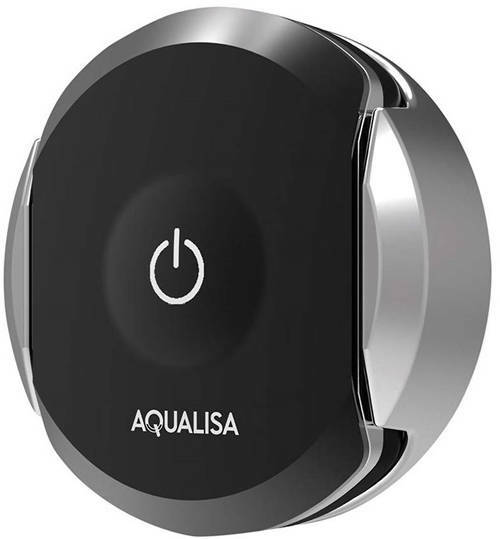 Aqualisa Q > Q Smart Wireless Remote Control (Chrome & Black). Aqualisa Q Smart wireless remote control. Use with Q Edition and Smart collections. Turns the shower on from outside your enclosure. Crafted with high quality materials. 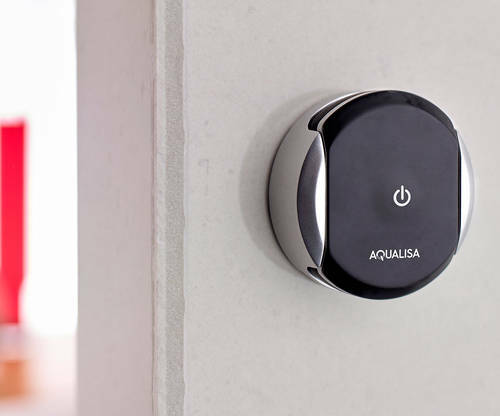 On/off control (touch to turn the shower on). Press to change the shower outlet. 10 Meter range from main controller (bluetooth).